Brendan Seal has had extensive experience in Central Otago having worked in various winemaking roles for Chard Farm, Mt Difficulty and Mt Edward since his first vintage in the region in 1999. Overseas experience includes many vintages producing Pinot Noir in Oregon and California and aromatic white wines in Alsace. 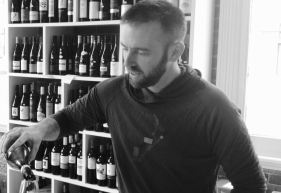 He has held head winemaking roles in Cyprus and the United Kingdom. 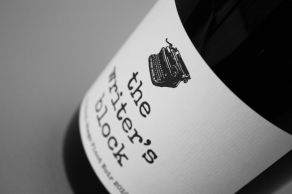 The Writer’s Block was launched as his own label of single vineyard wines in 2009. From 2012-2016 he ran the Packspur Wine Studio, a small volume winery in Central Otago that specialised in premium contract winemaking services. As well as setting up URBN VINO DUNEDIN, Brendan is also the consultant winemaker for Bristol Farm, an exciting new Central Otago Pinot Noir project. Brendan has an M.A. in history from the University of Otago. His research thesis examined the formative years of the New Zealand wine industry. He also spent six summer semesters teaching wine knowledge as part of the University of Otago Summer School paper; Introduction to Wine Business.